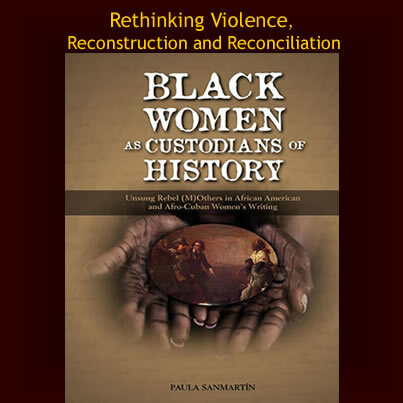 One such book is Black Women as Custodians of History: Unsung Rebel (M)Others in African American and Afro-Cuban Women’s Writing by Paula Sanmartín. 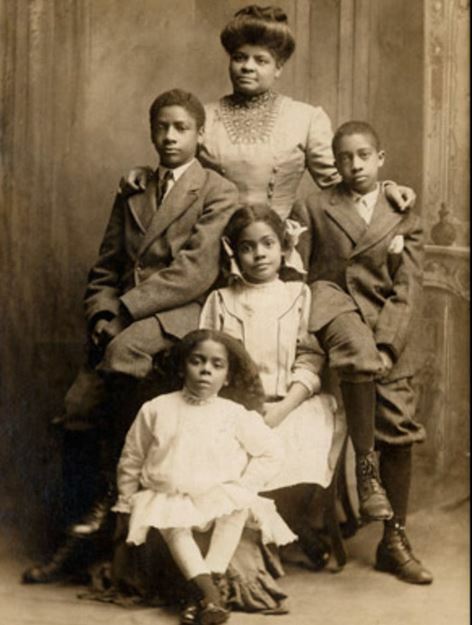 Browse Black Women as Custodians of History now. Recommend this book to your library and colleagues. This book is in the Cambria Studies in Slavery Series headed by Ana Lucia Araujo, author and editor of the highly acclaimed books on slavery (which will be featured this week as well). From now until December 15, enjoy a special 35% discount on all hardcover titles. Use web coupon code ASA2014. Libraries can use this too. Keep up with Cambria Press! LIKE Cambria Press on Facebook, follow Cambria Press on Twitter, and share this news from Cambria Press on Google+! 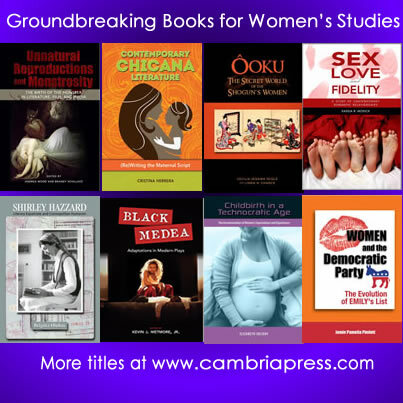 #NWSA2014 attendees, are these groundbreaking books in women’s studies in your library? Make sure they are and take advantage of the 30% discount on all titles (now until November 30, 2014). Use web coupon code BA188. Much has been written about gender and the monstrous, but sustained engagement with textual manifestations of cultural and unconscious fears and anxieties about “unnatural” reproduction has been limited. This book expands the current discourse and analyzes how fears about unnatural reproduction and monstrous offspring—and their frequent connections to the feminine—have proliferated and propagated across the very texts which are repetitively created and consumed. This book is an essential addition to the study of comparative black literature of the Americas; it will also fill the gap that exists on theoretical studies exploring black women’s writing from the Spanish Caribbean. 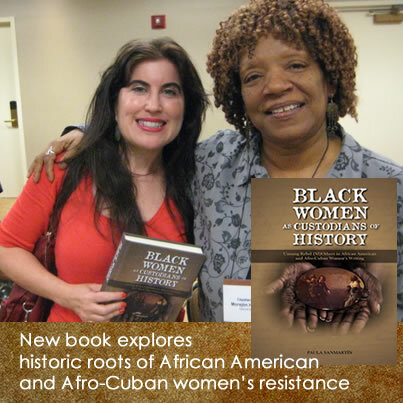 This book examines literary representations of the historic roots of black women’s resistance in the United States and Cuba by studying the following texts by both African American and Afro-Cuban women from different literary genres. Despite the growing literary scholarship on Chicana writers, few, if any, studies have exhaustively explored themes of motherhood, maternity, and mother-daughter relationships in their novels.Mother-daughter relationships have been ignored in much literary criticism, but this book reveals that maternal relationships are crucial to the study of Chicana literature; more precisely, examining maternal relationships provides insight to Chicana writers’ rejection of intersecting power structures that otherwise silence Chicanas and women of color. The plays in this volume reflect recurring themes and approaches to adapting Medea to modern contexts. Numerous modern adaptations see the play as painting a picture of the struggle of the powerless under the powerful, of women against men, of foreigners versus natives. The play has been adapted into colonial and historical contexts to lend its powerful resonances to issues of current import. At the 2014 LASA congress last month, there was much excitement not only for Howard University history professor Ana Lucia Araujo’s two highly praised books, Public Memory of Slavery and Paths of the Atlantic Slave Trade, but also her series, Slavery: Past and Present, because the inaugural title Black Women as Custodians of History: Unsung Rebel (M)Others in African American and Afro-Cuban Women’s Writing was published just in time for LASA. Even more exciting was the fact that both the author Paula Sanmartín and one of the writers discussed in the book, Nancy Morejón, were both at LASA. This book is much cause for celebration because until now there has been no book-length study concentrating on black women writers from the United States and the Spanish Caribbean. Books on women authors from the Caribbean and comparative studies of the Black Diaspora tend to focus on Anglophone writers, and scarce critical attention is given to black women authors in the field of Afro-Hispanic studies. This book is an important addition for collections in African studies, Latin American studies, slavery studies, and women’s studies. Browse this book with the Free Preview Tool. This book is in the Slavery: Past and Present book series by Ana Lucia Araujo (Howard University). If you like this book, please recommend it to your library and colleagues. Avoid the hassle of textbook orders and simply assign a book chapter (or more) to students for the week’s reading for only $8.99!